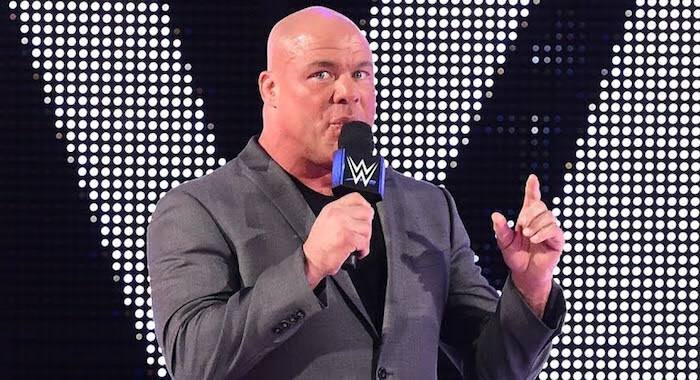 Last night on WWE Raw, Kurt Angle announced that he would be facing Baron Corbin at WrestleMania 35 in his retirement match. The decision was met with a fairly negative response from both the live crowd in Chicago and the WWE Universe online as fans made their displeasure clear. It wasn’t just the fans questioning the situation either as WWE Hall Of Famer, Jim Ross also wasn’t happy with Corbin being announced as Angle’s final ever opponent, simply stating that it was underwhelming.